Highly distinctive singer/songwriter, born July 30th, 1958. Bush was signed to EMI at age 16 after David Gilmour heard her work and helped her produce a demo tape. In 1978 (at age 19), her debut single "Wuthering Heights" reached #1 in four countries. She has maintained a large cult following ever since. Bush's most prolific creative period was between 1978 to 1993, with a release of new material and new albums every few years. After the 1993 release of "The Red Shoes," she began an extended break from public view, and devoted time to her family. "Aerial," Bush's first album in 12 years, was released in November 2005, preceded by single "King Of The Mountain". 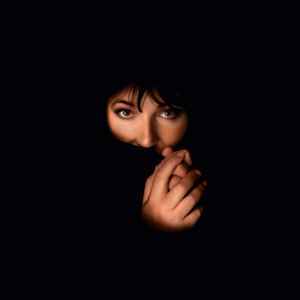 In 2011, two Kate Bush albums were released: "Director's Cut," a reworking of several songs from "The Sensual World" and "The Red Shoes," and "50 Words for Snow," an album of new music. In 2014, Bush performed in a series of live concerts in London, her first concerts in decades. All performances of the show, called "Before The Dawn," sold out in minutes. She was appointed Commander of the Most Excellent Order of the British Empire (CBE) in the 2013 New Year Honours for services to music.